We all know that Motorhoming in Britain is getting more popular and why not, it is truly an amazing way to see our fantastic scenery as well as having the comforts of home. You are not tied to having to be in an exact place at an exact time. You can follow the weather, and with wild camping a hidden gem in Scotland, you do not have to have your views from the hotel window dictated, you can choose your own views. There is never a truer saying, ‘Home is Where You Park It’. However, due to the exceptional demand for Motorhoming, as well as caravanning, we would like to advise customers to be aware of hiring from someone who is not registered or from someone who is maybe just simply hiring their own motorhome to make some ‘extra’ money. Believe you me, your life could depend on it without you even knowing (without being over dramatic). There are many hidden threats to you and your family. The first thing to look at is whether you have appropriate insurance cover to protect you while on hire. Do you know even if someone is hiring out their own motorhome or campervan to good friends or family members on an informal basis, they still need to have comprehensive insurance, as if they were a professional company providing motorhome and campervan hire. Such insurance is often referred to as self-drive hire insurance. On many an occasion, and without knowing it, some families will be driving around the country with the incorrect or no insurance cover at all. You (the driver) has to be personally covered for driving that motorhome. Some people are covering themselves (privately) and then hiring it out without knowledge that they actually need self-drive hire insurance. You need to be certain that the vehicle is safe to drive before hiring it out. 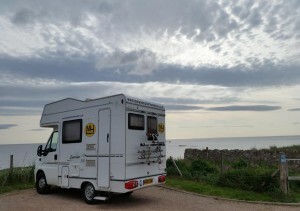 With campervans and motorhomes, you also need to be sure that it’s safe to live in. Because mobile homes include cooking and heating equipment, there is an extra risk to life of fire. Most motorhomes and campervans especially when wild camping depend on gas for there heating and cooking facilities. Ensure your hired motorhome has had a full landlord gas safe registered inspection, regardless of the age of the motorhome. Even brand-new motorhomes should be checked prior to hiring to a customer. Does it have a smoke detector and carbon monoxide detector on board? It should have at all times, you need something that will alert you to any smoke or gas problems. Ask, has it been inspected within the last 12 months? The law states these inspections should be carried out on an annual basis (as with rented home accommodation). The company hiring the motorhome may be liable if something was to happen and they did not have the appropriate checks and insurance in place. Finally, fire extinguisher and fire blankets should be readily available at all times. Please ensure you have the correct category on your driving licence to drive the motorhome. All our motorhomes are under 3.5 tonne and can be driven on a normal driving licence (at the moment). Some of the newer driving licences may differ. A lot of motorhomes on the market are over 3.5 tonnes and a large majority of people will not be able to drive them without an add on to their driving licence. Always check you have the correct licence to drive the motorhome you have hired…. We get so many customers coming to us asking for last minute availability as they have been let down/double booked or even ripped off by the company they had paid and were meant to be hiring from…. always check out the company initially online before booking. Look at reviews, get receipts, phone and ask questions. Some people have paid their money and then found out the company doesn’t exist. It is so sad. Protect yourself and your money. Don’t be scared to ask questions. 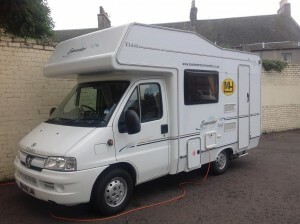 We at Lowland Motorhome Hire Ltd, ensure our motorhomes are thoroughly cleaned and checked on their return from hire, and that all appliances work correctly, prior to anyone being allowed to take one of them away. They are correctly insured and covered in the case of any incidents and/or accidents. 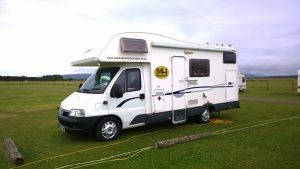 Every year ALL our motorhomes are given thorough Habitation checks and Gas Checks, to ensure we meet the criteria. This is not meant to put people off motorhome holidays, to the contrary, it is just about raising your awareness and protecting yourself and your family. Go on and have a wonderful experience and make lots of memories.